Anping Wannuo Wire Mesh Co., Ltd. is located in Anping county Hebei province which is the largest wire meshes manufacturing base and have the noticeable fame of " The hometown of wire mesh " in China. Perforated material is our key product. We are acknowledged as one of the leading manufacturers in this industry due to our high quality products, reasonable price as well as our considerate service. Quality is a state of mind. The automotive CNC perforating machine and an extensive range of die in stock enable us to manufacture the perfect perforated products that match the strict quality requirements of international market which has earned us the reputation of being a quality -oriented company. Our company has introduced the advanced "etching" equipment in addition, this equipment can make the hole diameter up to 0.08mm, which meet your requirement for more high-accuracy products. Perforated material is widely used as Architecture, Noise control, Filtration, Automotive & Transport, Electronics, Agriculture equipment, Pharmaceutical, Audio because of the feature of controlling the passage of air, light, liquid, solids, heat and waves.sell well All over the world, including UK, Norway, Netherland, Cyprus, USA, Canada, Mexico, Ecuador, Brazil, South Africa Indonesia, India, etc. Customer's satisfaction is our priority. Our staff is committed to a policy to ensure a continuous improvement to the product. If you have any special requirement for your products, please tell us. Our experienced die experts will work closely with you to design the product for your criterion. We have implemented the ISO9001 Quality and Management System, obtained the International Certification. Authentication. In the past years, we have served a wide variety of markets, and provided creative solutions for our customers. Our work team has the knowledge, experience and dedication to successfully meet your perforating needs.At WANNUO WIRE MESH, we’re all about three things: Quality, Speed and Reliability. 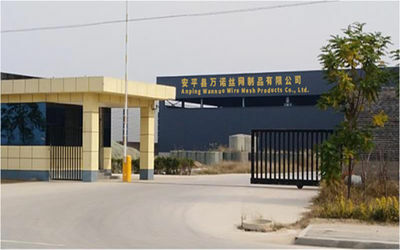 >> 2004, Anping County Wannuo Wire Mesh Co.,Ltd was established. >> 2008, Ordinary CNC workshop with CNC equipment more than 10 sets.Can be a variety of metal or non-metal sheet punching, plate thickness from 0.5mm-25mm can be a variety of aperture hole punching. >> 2014, The new increase gantry workshop, To improve product quality,shorten the production cycle. And better customer service. The goal of the workshop in the original five-speed gantry CNC equipment,based on the now added a new two sets of the world’s leading high-end equipment. >> 2015, Wannuo Wire Mesh has introduced the advanced "etching" equipment in addition, this equipment can make the hole diameter up to 0.08mm, which meet your requirement for more high-accuracy products. >> 2016, New laser cutting equipment,laster cutting products and services areas:anchitectural design and decoration meterials, molds, furniture,construntion,technology and works of art. >> 2017, Wannuo companie to invest more than 400 million production line to introduce automatic spray,line,spray effect: no potholes pittling, plastic coating uniformity, high adhesion, resistance to reach the national testing agencies and the impact of acid mist corrosion test indicators. >> Since 2018, No best, only better for Anping Wannuo Wire Mesh. Wannuo Wire Mesh is a professional manufacturer of perforaete metal which specializes in design, producing, sales for integrity. 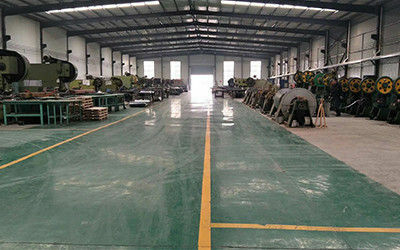 Anping Wannuo Wire Mesh Products Co.,Ltd more than 80 professional and technical personnel and more than 5 senior engineers,More than 10 oversea sales speaking english and have more than 4 years work experience by average. At Wannuo Wire Mesh, we understand that outstanding quality begins with the people that we hire. We are continually growing and evolving into different products and product lines. We are always looking for the best and brightest individuals available. 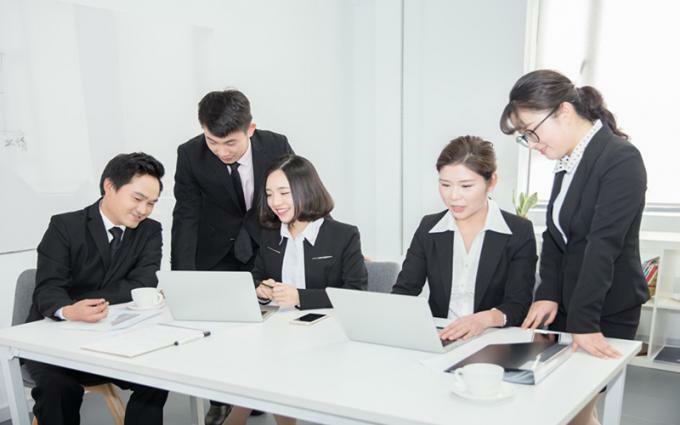 We are committed to training good people and promoting from within the organization whenever possible.